Includes English and Spanish languages and subtitles. Widescreen. Augustine: A Voice for All Generations is a DVD documentary about Augustine of Hippo (354-430), a great Christian saint and theologian whose writings, including "The City of God," "On the Trinity," and "The Confessions" have had enormous influence on the Christian faith and therefore also general western civilization. But Augustine himself was not always a devout Christian; in his younger years, he sought money and power, and lived with a concubine. The story of his transformational conversion is an eye-opening tale of looking beyond the self to discover the wonders of God and His creation. 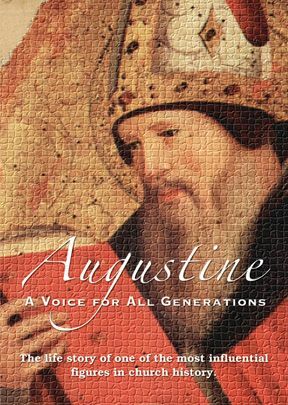 An extraordinary glimpse into the life of a pious man and the fourth century world he lived in, Augustine: A Voice for All Generations is highly recommended, especially for public and church library collections. Hosted by Catholic author and radio-TV personality Mike Aquilina, this fascinating portrait of the Christian intellectual whose influence has endured for 16 centuries was filmed in Milan and Rome. Part of the appeal of St. Augustine's story lies in the fact that he stumbled through life until finding the answers he sought in God. Born in the 4th century in what is now Algeria to a pagan intellectual father and a Christian mother, Augustine was raised to be an educated man of culture but instead became a rebellious pleasure-seeker. Still, the future saint had blazing intelligence, which led him to seek wisdom, although he was ambivalent about where he might find it. 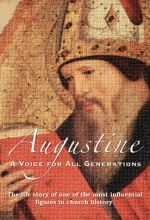 Helped by various patrons, Augustine became a success in Carthage and Rome as a for-hire orator, a secular professional who was drawn—albeit at arm's length—to Christian thinkers such as Bishop Ambrose of Milan. 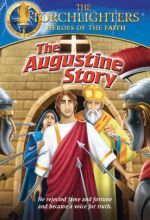 Pulled away from Christianity for nearly a decade by the promise of secret knowledge from the Manicheans, Augustine eventually found himself caught between several competing faiths, a situation that reached a crisis during a showdown between Ambrose's Christians and the Empress Justina's Aryans. 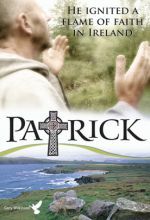 The film takes viewers on Augustine's long, lurching road to conversion and his eventual establishment of religious communities in Carthage and Rome, while also covering various details regarding his personal life—including the loss of a beloved concubine and their son. Highly recommended. I was looking for a video about Augustine for a Sunday school class, and this fills the bill very well. It is long enough to cover the subject meaningfully and short enough to show in one session. The details are correct and the presentation is very good. The only improvement would be to give a more thorough coverage of his controversies Donatists and Pelagius and the great effect of his writing on future generations.